how delicious are cookies n creme bars? 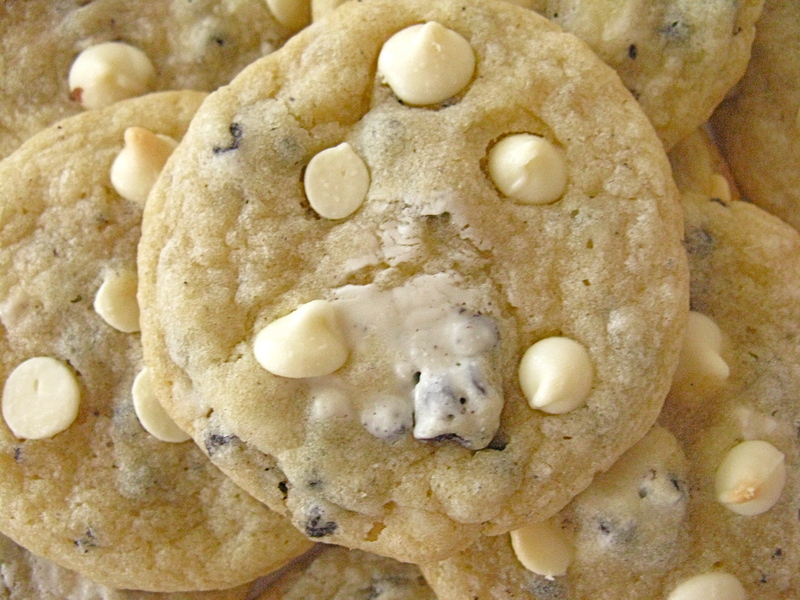 crunchy chocolate cookie bits speckled throughout creamy white chocolate? yum. 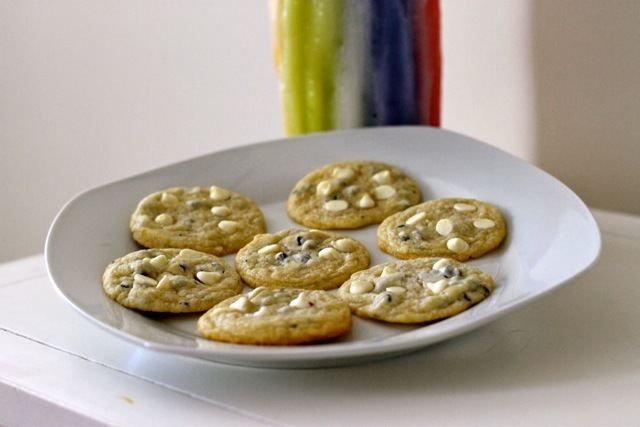 now how delicious would cookies n creme bars be melted inside a cookie?! i ❤ candy in cookies. sooooo i bought a couple king sized cookies n creme bars the other day, chopped them up, and threw them into the same basic drop cookie recipe i used for the chewy butterfinger cookies. 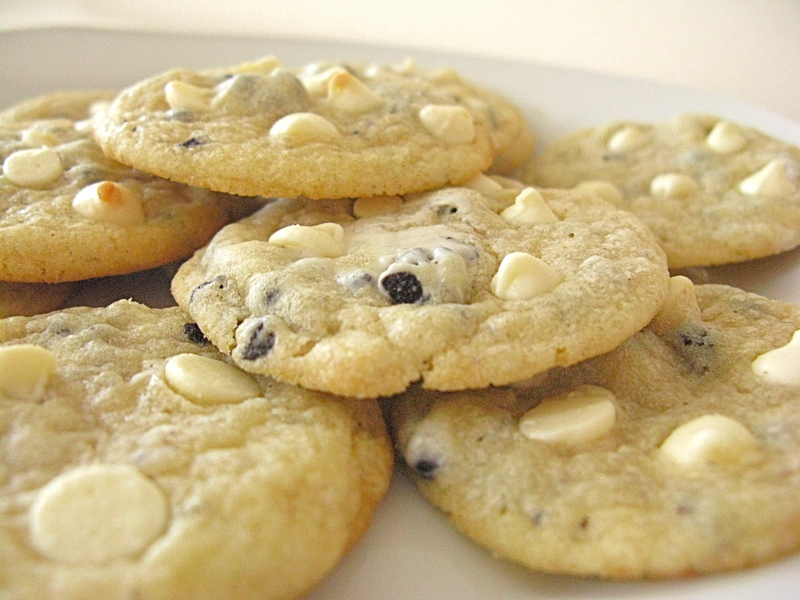 i added some white chocolate chips on top because i favor chunky cookies with a lot of texture goin’ on. i hate plain cookies!! i love the black chocolate cookie speckles underneath! Combine flour, baking soda, and salt in small bowl and set aside. In a separate bowl, using a hand-held mixer or stand alone mixer, beat the butter and sugar together until light and creamy. Beat in egg until just combined. Gradually beat in flour mixture. 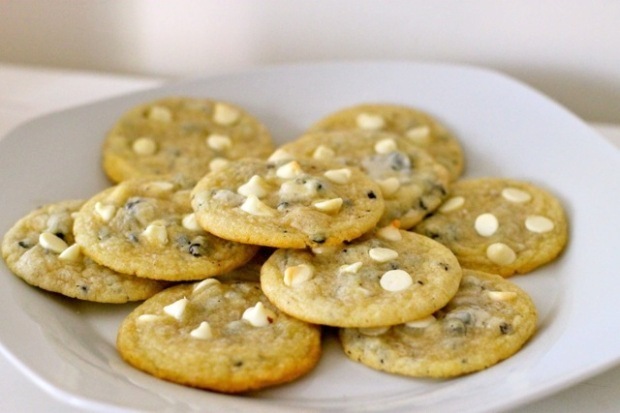 Stir in chopped cookies n creme pieces by hand. Do not overmix. Drop by slightly rounded tablespoonfuls onto ungreased baking sheet. 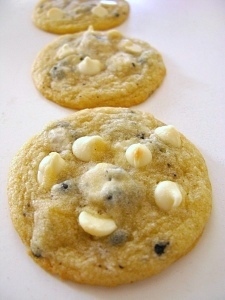 Stick 4-5 white chocolate chips on top of the cookie dough ball. Bake for 10-12 minutes or until lightly browned. Allow to cool and enjoy! 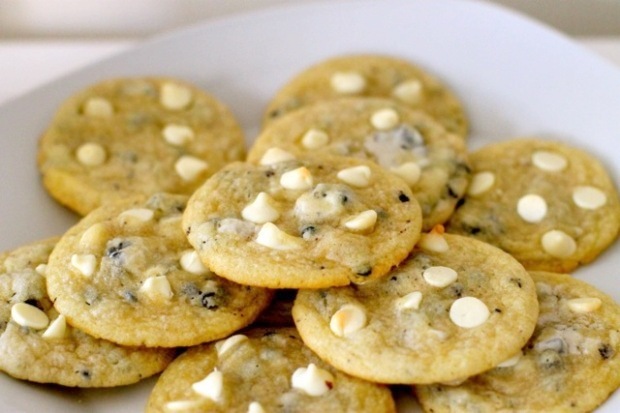 Love cookies and cream flavored everything! All these cookies look soooo amazing!!!! I don’t know which to pick but since the cookies n cream ones brought me here, I must say they look out-of-this-world yummy!! you are right. candy inside cookies is the best thing ever! and another reason i raid the after holiday candy sales! 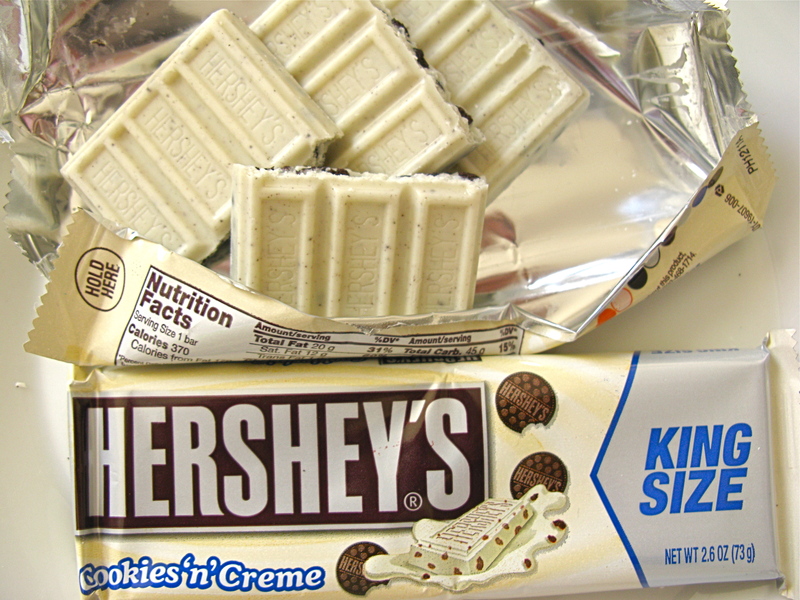 I used to love these candy bars! Haven’t eaten one in so long. Your cookies are positively delectable! Candy cookies rule. Mimi, I simply copy and paste the URL into my status update and it automatically brings up a picture thumbnail. Congrats on the food gawker acceptance! It’s funny how obsessed we get with having them “accept” our photos, but I am right there with you! 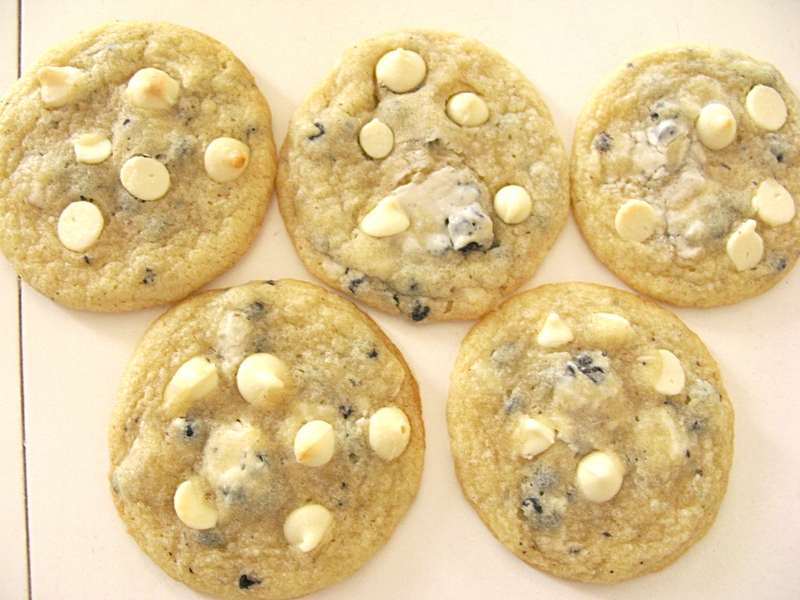 I made the Cookies & Cream cookies last night, and have a question for you. You say in your instructions to cream the butter and SUGARS (plural), but you only have white sugar listed. Should there be brown sugar in this recipe?? This brings me to question @ 2 – since I made mine w/o brown sugar, they did not flatten out like the ones in your pic, they stayed puffed up. 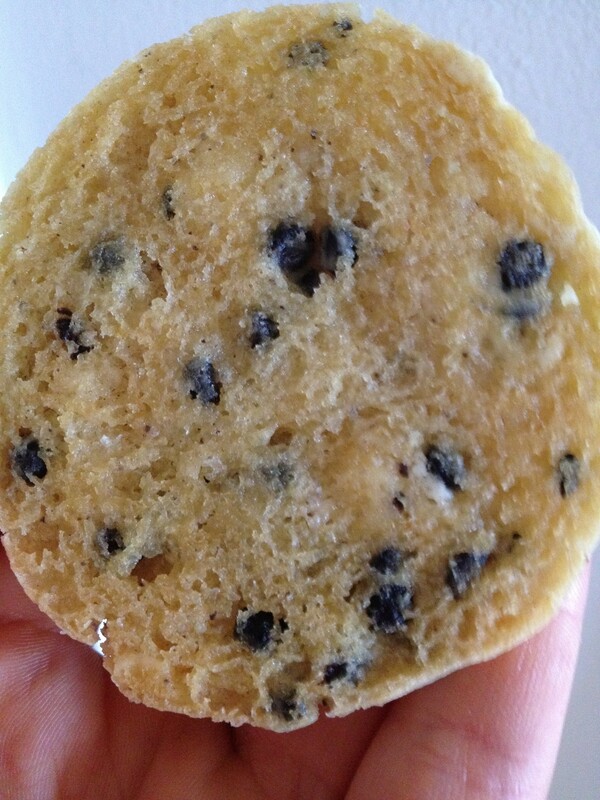 Still yummy, but more like shortbread or sugar cookie dough than a choc chip cookie dough….What are your thoughts?? hi Rachel, thank you for pointing this out to me. there is NO brown sugar in this recipe. I must have accidently typed in the “s” after sugar. I just corrected that. I am not sure why yours did not flatten out. Do you measure the flour into a cup with a spoon, and then scrape off the excess on top? If you are just scooping the flour straight into the cup you may be packing it down too much and ending up with a higher ratio of flour to butter, which produces a fluffier cookie. Thanks for verifying about the brown sugar!! I poured the flour in from my canister (which is how I usually measure it), but I will make sure next time to double check my flour measurement. Regardless, the cookies were super yummy and I got lots of compliments. Thanks for a great recipe!! !